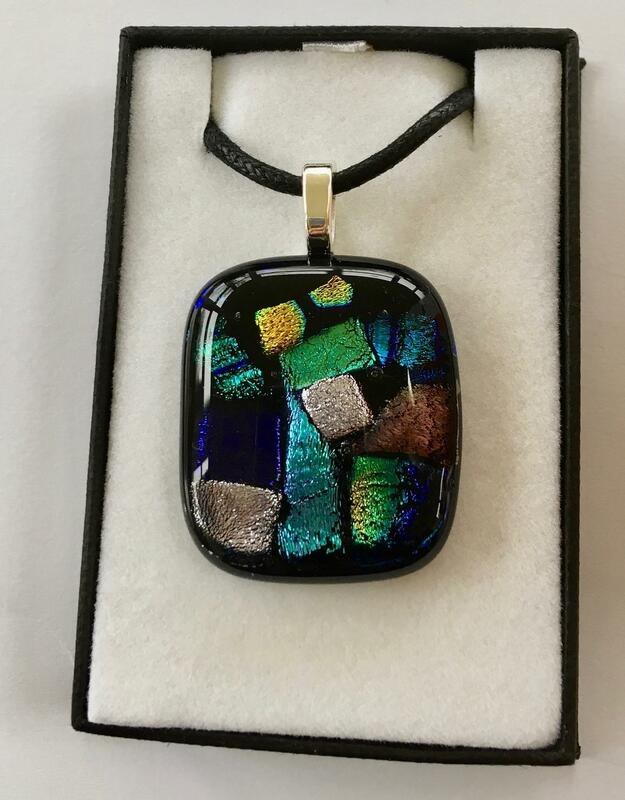 A handmade fused glass pendant that is unique. Please click on the images above to enlarge. This pendant measures approximately 3.0 cm wide by 3.4 cm high. It has a plated silver bail and a black coloured 2mm diameter necklace in waxed black cotton necklace approx. 42 cm long (17 inches) with alloy lobster claw findings that are non allergenic. This pendant is composed of several layers of glass that have been fused together at high temperatures to create a beautiful piece of Jewellery for you to enjoy. 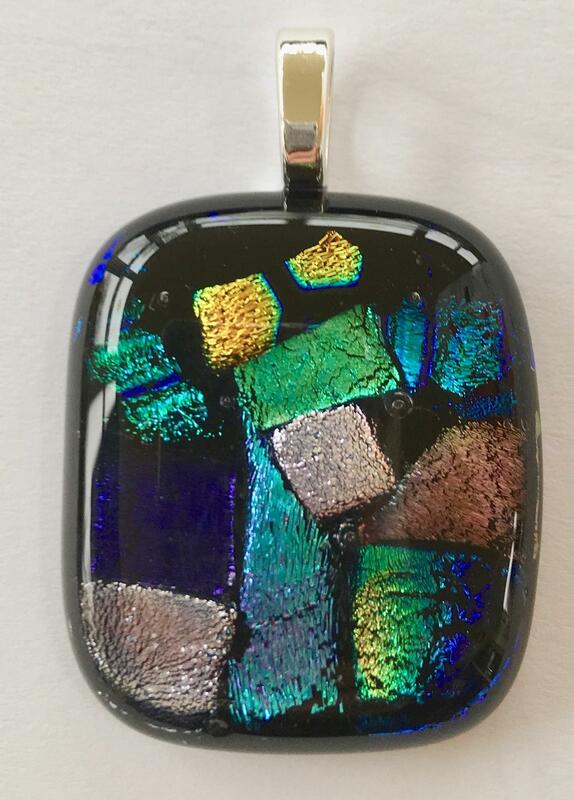 This pendant includes Dichroic Glass which has a multi-layer coating placed on the glass by using a highly technical vacuum deposition process. The main characteristic of Dichroic Glass is that it has a transmitted colour (where light passes through the glass) and a completely different reflective colour (where light reflects off the glass). Furthermore, these two colours shift depending on angle of view. With the play of light, together with its vibrant colour, Dichroic Glass is a prime tool used to add interest to any piece of work or project.